Caring for your lawn can be tough to keep up with. Trying to keep it alive and green while keeping up with your busy life requires determination, time, knowledge and skill. The health of your lawn might need some professional lawn care to ensure it remains healthy and alive! With our lawn care services, you can leave the extensive work that is caring for your yard to us. We know that your lawn is one of the most important features to the outside "look" of your home. And you can trust that the grass won’t just be greener by hiring us. It will be its healthiest all year long. Here at Green Turf, we have over ten years of lawn care service experience. 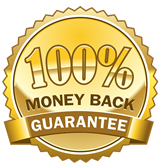 We are passionate about providing 100 percent quality in everything we do, giving you the best service for the price. We’re affordable, we’re knowledgeable, but most importantly, we’re dedicated to ensuring that our lawn care services in Macungie are the best that Pennsylvania has to offer. Put your trust in our lawn care experts and get the most out of your beautiful yard. Contact us today to get the help you need to improve the exterior of your home. A pristine, emerald green lawn free of weeds and pests is something every homeowner in the Macungie and Allentown areas can get behind. But, where do you even begin when searching for a lawn care company that will stand up and behind expert and professional lawn services? Our lawn care services span beyond the typical and mundane “green grass” — with us, the grass truly is greener on our side! We problem solve and treat your lawn for pests that can damage and disrupt the quality of your lawn. A yard infected with fleas and ticks not only compromises the quality of your lawn, but the quality of life for the homeowner. It takes away from the pleasure of playing and relaxing in your own backyard. We implement a six-step lawn care program that addresses your yard from season-to-season. The spring and summer seasons incorporate a slow-release lawn fertilizer to spur growth and encourage the deep, emerald color that we all desire. The fall uses a balanced fertilizer to better support the root system, and as the temperature begins to drop, winterization steps are put into place. Learn more about this lawn care process here. Our aeration an over-seeding lawn care services better cultivates and maintains a lush, beautiful lawn. Over time, your lawn can acquire thatch buildup and begin to thin, so aeration helps in grass structure and stabilization, in addition to controlling the thatch. Spark new roots and give your lawn the ability to absorb vital nutrients with our aeration service. Over-seeding is applied to encourage a thick, full lawn. Every 1,000 square feet, roughly three to five pounds of grass seed is spread. This also reduced the ability for weeds to surface and revitalizes and gives a facelift to your yard. 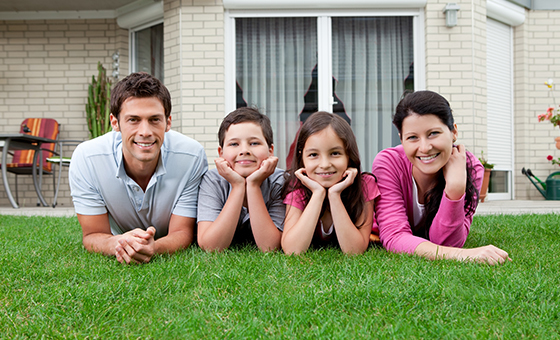 Why chose lawn care services beyond the spring and summer seasons? While most companies focus solely on the spring and summer seasons for optimal lawn care, to get a full, lush, and green lawn, your yard needs to be cared for in every season. Your lawn is a living system and though it goes dormant in the cold, there are still measures you can take to guarantee a fresh, verdant lawn that comes back to life, full force in the spring. Our 6-Step Fertilization Program page goes over, in detail, how we care for your lawn year round. Learn about why our all-season lawn care is so crucial to the look and feel of your lawn! 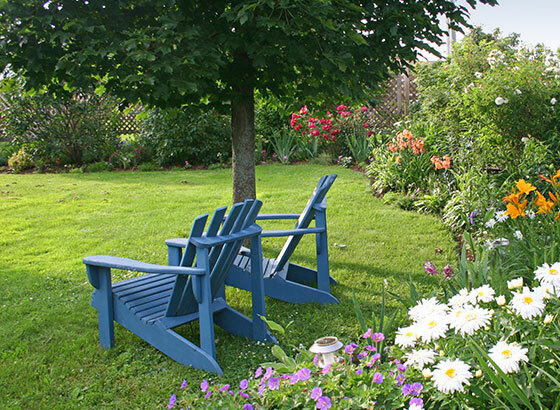 Leave lawn care services to us and receive an abundantly hardy and verdant lawn. We offer a comprehensive 6-step application program to help maintain a thick and lush lawn. We use only the finest fertilizers to achieve beautiful results. Designs that will look great, season after season, we know what it takes to make a landscape remarkable. Get your quote in less than 12 hours and see what we can do to make your outdoors a better place to be. You must be absolutely delighted by our services. If for any reason, or no reason at all, you feel you’re not absolutely, positively 100% happy with our work, we aren’t happy either.